The Jubilee Clock Tower in George Town, Penang, Malaysia was built by Cheah Chen Eok in 1897 to commemorate the diamond jubilee of Queen Victoria's reign. It is designed in Moorish style and due to bombings in the Second World War it is slightly tiltet. 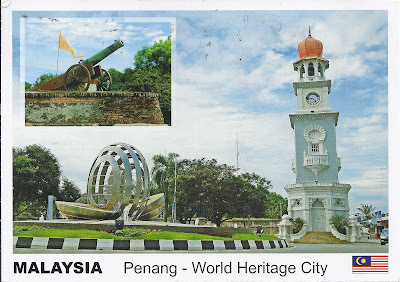 On the left of the postcard is the stylized, betel nut shaped Penang Fountain. Both sights are located at the King Edward Palace near the Espanade. The historical center of George Town was inscribed into the UNESCO World Heritage List in 2008. Thank you very much for this postcard Minh Way Poh !!! 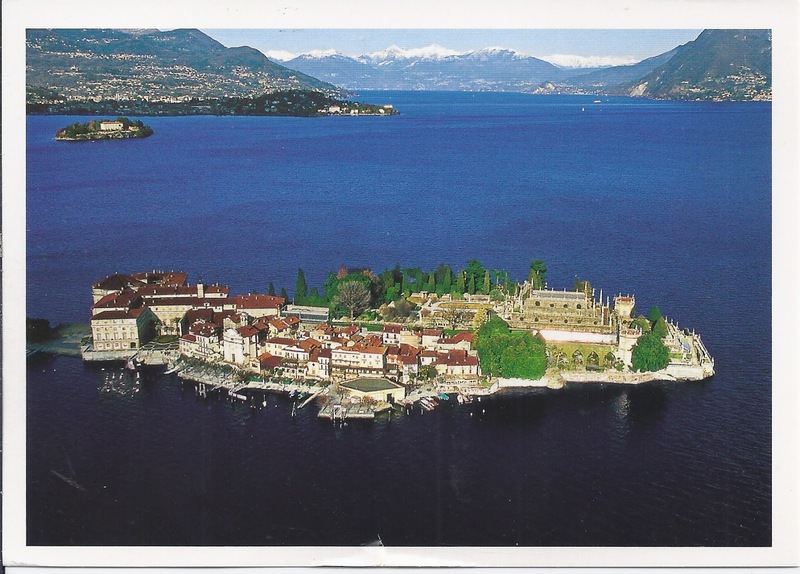 Isola Bella, translated means Beautiful Island, is located on Lago Maggiore in Nothern Italy. 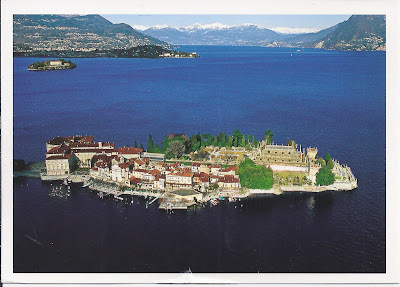 Originally the island's coast was rocky but Carlo III of the influtential house of Borromeo had the rocks removed and gave the island the shape of a ship. Palazzo Borromeo is a masterpiece of architecture, constructed in 1632 with pompously decorated rooms, beautiful paintings and gobelins. The palazzo is not the only sight on the island that is likely to take your breath away. There are four artificial caves, all beautifully decorated with baroque elements, gardens with English and Italian designs where you just want to walk or sit and enjoy the beauty of the wonderful nature all around you. Thank you Erika for this wonderful postcard !!! 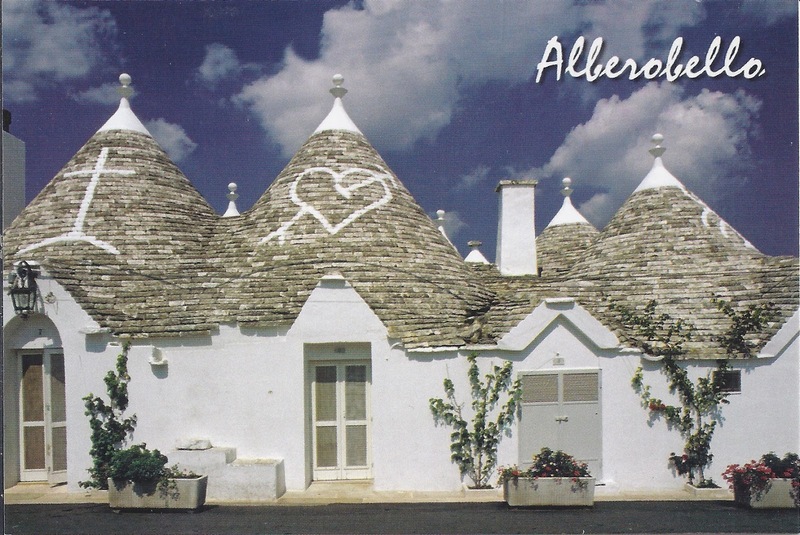 Alberobello is located in Apulia, Italy and is famous for the wonderful Trulli buildings. Legend says that the Trulli were invented to circumvent the paying of taxes. They are all built with loosely fitting stones, found in the surroundings, without any mortar. According to legend, that way, the houses were easy to dismantle and did not count as permanent settlements in case the tax collectors were touring the area . The roofs often have symbols painted on the stones, mostly of Christian origin. Some of the houses are over 300 years old. Standing on the opposite hill looking down to the part of town with the Trulli, it looks like a sea of gray jelly bag caps, totally enchanted !! In 1996 the Trulli of Alberobello were inscribed into the UNESCO World Heritage List. 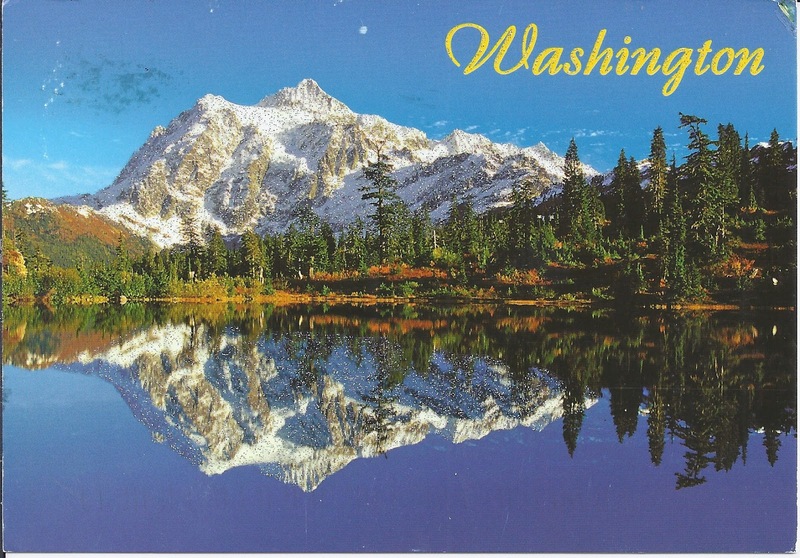 I sent this card home from our visit in this beautiful place. Pamplona is the historical capital of Navarre, formerly the Kingdom of Navarre. 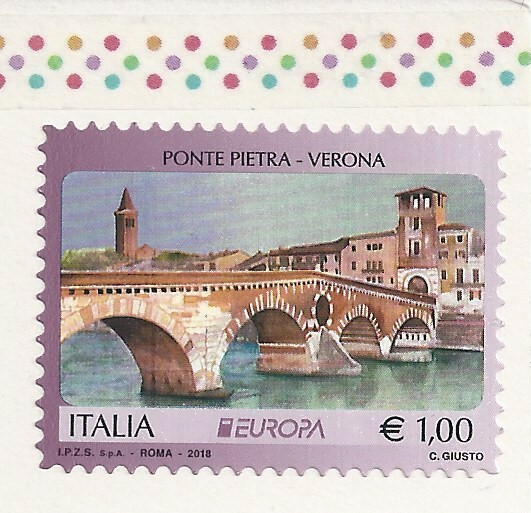 The city was founded by Romans around 75-74 BC when the area served as a camp for Roman troops. Today it is most famous for the San Fermin festival which is held annually in July to honour the city's first bishop and patron saint, Saint Fermin. 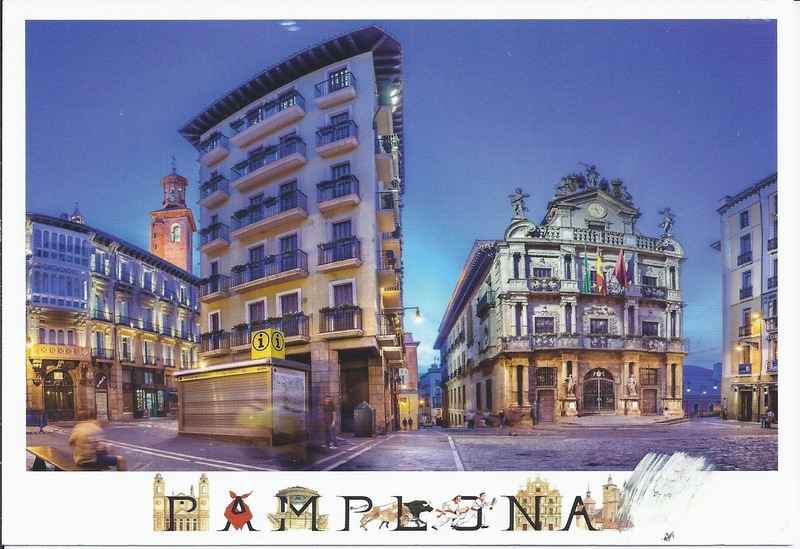 The festivities start with at noon of July 6 with the Chupinazo fireworks and the singing of the traditional song "Pamploneses, Viva San Fermin". The most famous part of the festival is undoubtedly the Running of the Bulls, although there is much more to see and experience. 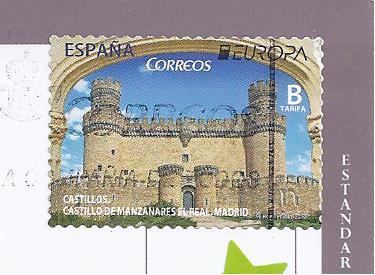 The card shows Plaza Consistorial with the historic townhall where the festivities start each year. Thank you Ochalín for this beautiful card !!! Mount Shuksan with Picture lake right in front of it, might well be the most photographed mountain in North Cascades National Park, Washington. The name of this glaciated massif derives from the Lumni language, meaning High Peak. The Lumni are a native American tribe in Western Washington State. Thank you Sheri for sending this beautiful card !!! 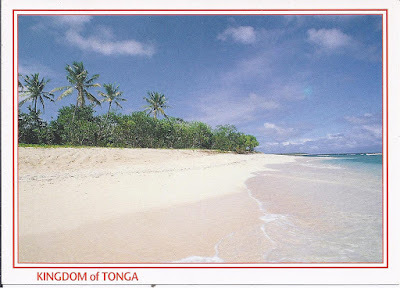 Ha'apai is group of 51 islands, 17 of them are populated. Traces of settlements of the Lapita culture have been found from about 1500 BC. 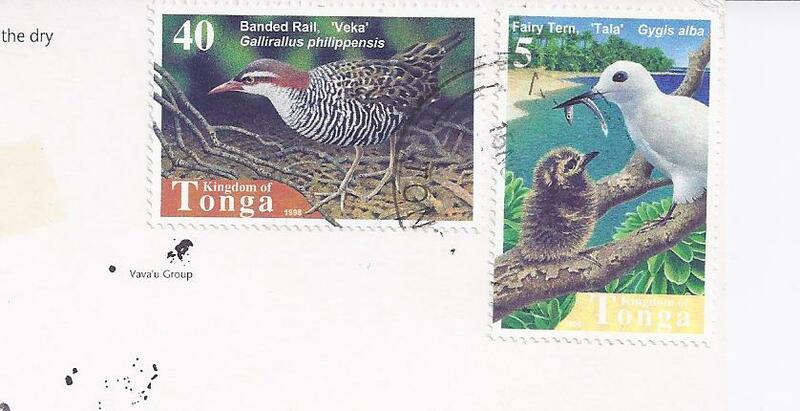 The first recorded visit to Ha'apai was by Abel Tasman, a Dutch explorer and merchant, in 1643. In 1774 and 1777 James cook made several stops at the islands and named them Friendly Islands. Other famous explorers and seafarers to visit Ha'apai were Fletcher Christian and Captain Bligh with the Bounty. 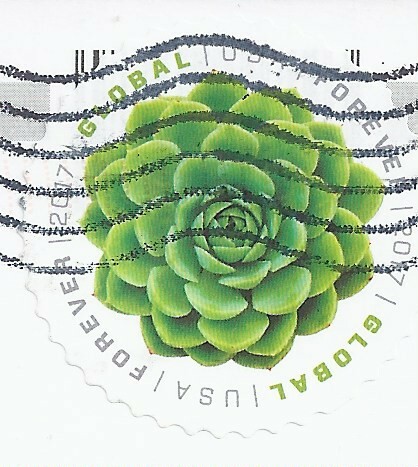 Thank you Dorothee and Christoph for sending this beautiful postcard !!! It all started in 1900 when Count Eusebio Güell bought a tree-covered hillside just outside of the boundaries of Barcelona. He intended this space to become a sanctuary for the wealthy and assigned the design to Antoni Gaudí, a renowned Catalan architect at that time. Construction lasted 14 years. The whole project turned out to be a commercial flop. In 1922 the city bought the estate and intended it to become a public park. Its gates opened 4 years later in 1926 and this enchanted place has since become one of the most popular sites in the city. 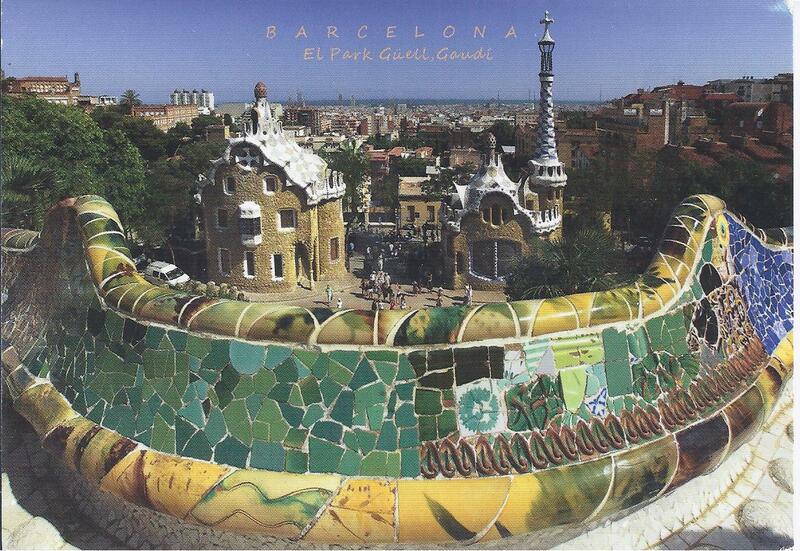 The Park Güell and 7 buildings, all designed by Antoni Gaudí were inscribed into the UNESCO World Heritage List in 1984 with an extension added in 2005, as Works of Antoni Gaudí. 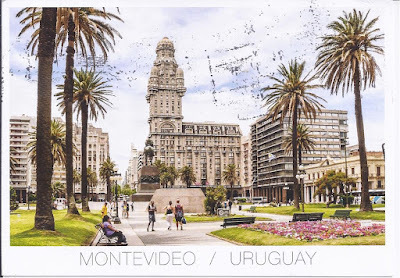 Thank you so much for this postcard, Belén !!! 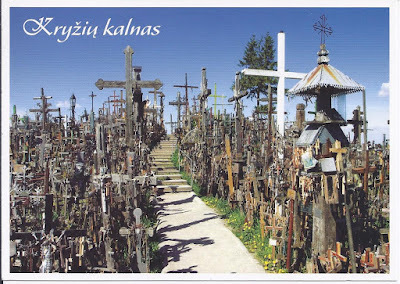 The Hill of Crosses is a unique place of pilgrimage near the city of Siauliai in Lithuania. The reason why people come to this place to erect crosses, leave little statues or effigies and rosaries is not really known. It is believed that the first crosses were placed there by relatives of rebels who were killed in the 1831 uprising. It then started in earnest when the Tsarist authorities banned the placing of crosses at roads or on cemetaries. The same happened during the Soviet rule. Crosses were banned, and the hill even became a forbidden place. 5 times the authories ordered the hill cleared. In the night of April 5, 1961 all the crosses were bulldozed and crushed, wooden ones were burnt and those made from metal were taken away to be melted. 4 more times the Soviets tried to get rid of this place of pilgrimage, but each time it was rebuilt, larger than before. Thus the Hill of Crosses became a symbol of an unshakable faith in the people, their sufferings and hopes. There are now about 100.000 crosses all around the hill. In September 1993 Pope John Paul II visited this breathtaking place. 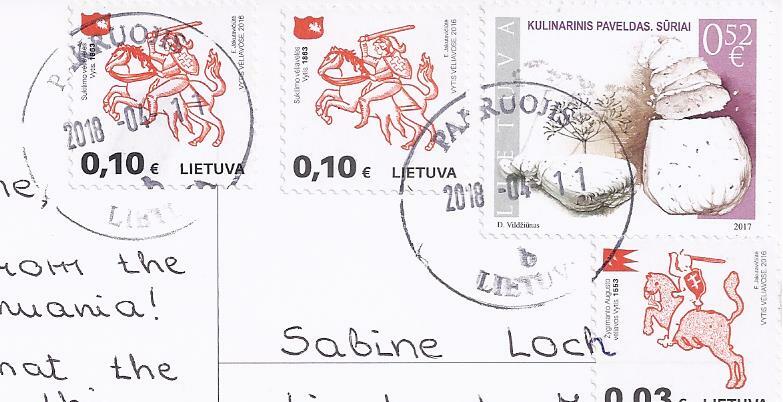 The art of Lithuanian cross making was inscribed into the UNESCO Intangible Cultural Heritage List. Thank you very much Kristina !!!! 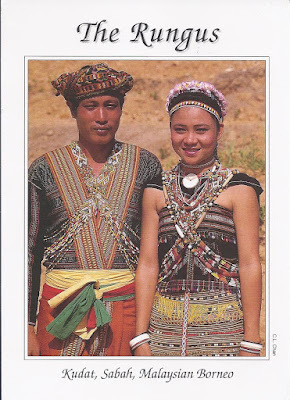 The Rungus People is an ethnic group living in Northern Sabah. They have maintained many of their ancient traditions. They have their own language and while many of the younger people now live in the city, many are still staying in the traditional longhouses, where every family has its own quarter with a central communal space for gatherings and socializing. 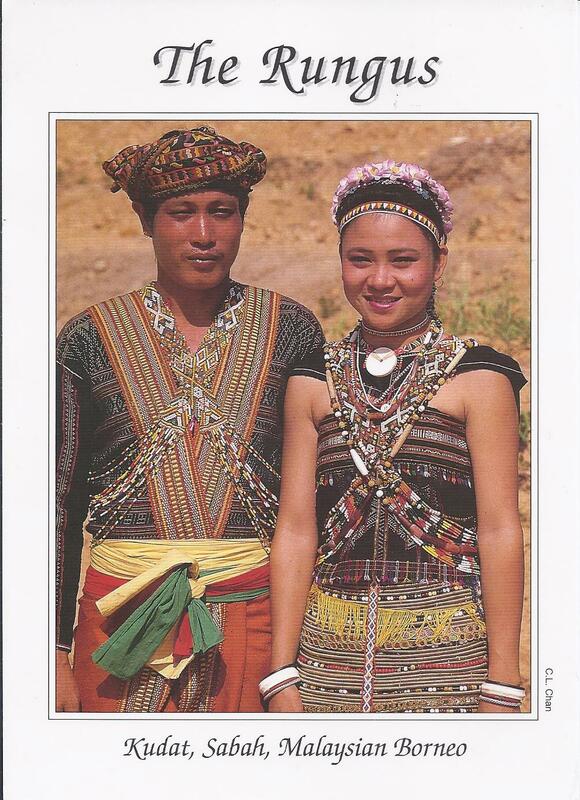 They dress in black clothes decorated with hundreds of antique beads, that easily may amount to thousands of dollars. 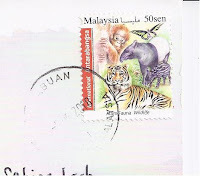 Thank you Bei Hao Chin for sending this gorgeous postcard !! 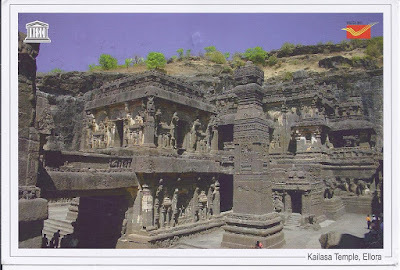 Kailasa Temple is one of 34 cave temples and monasteries known as the Ellora Caves, India. All of them were dug side by side in the wall of a basalt cliff of the Sahjadari hills near Aurangabad, India. 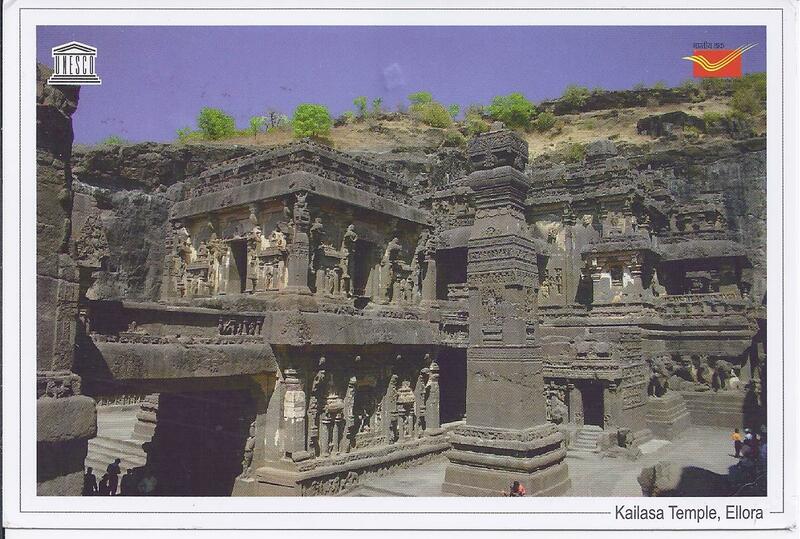 The Kailasa Temple, built in 8th century is famous for its vertical excavation. Carvers started at the top of the rock and worked their way downward. 200.000 tons of rock had to be removed and this unbelievable tast was achieved in less than 2 decades. Everything in and around the temple, the pillars even the sculptures was carved from the same rock. Originally it was coated in a thick layer of white plaster so that it looked like covered in snow, thus resembling the sacred mountain Kailash in Nepal, said to be the home of Shiva. The temple was dedicated to this deity. Ellora Caces were inscribed into the UNESCO World Heritage List in 1983. Thank you Piyush Bafna for this wonderful postcard !!! 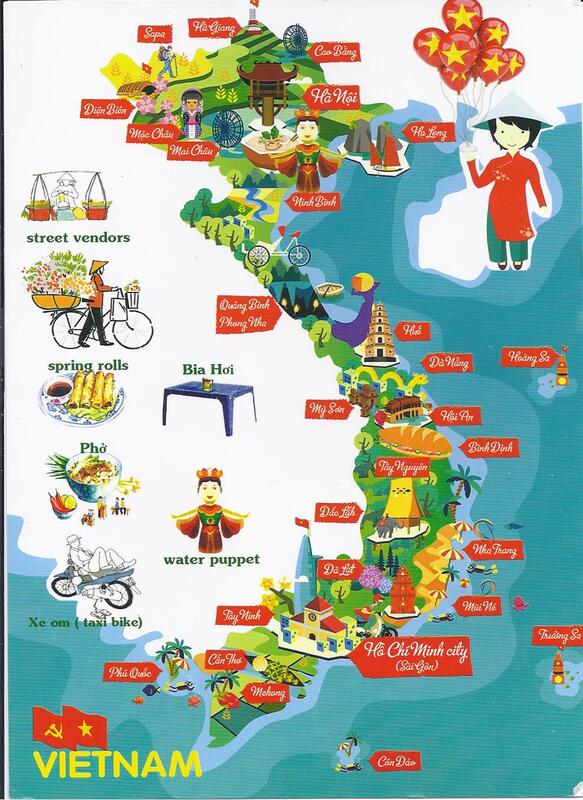 This beautiful mapcard of Viet Nam arrived in my mailbox sent by Manh, thank you very much !! The church of Our Lady of the Rocks is located on a small, artificial islet off the Perast coast, in the Bay of Kotor. According to legend, 2 fishermen found a picture of the Madonna with Child on the rock in the bay on July 22, 1452. One of them was crippled. At the risk of his life he grabbed the icon and carried it home. The next morning, he miraculously could walk again. He ran to the room where he had put the icon to give his thanks, but it was gone. So he had no proof to show the priests, that the icon had healed him. Months later he found that same icon on the very same spot again, waiting for him on the rock in the bay. 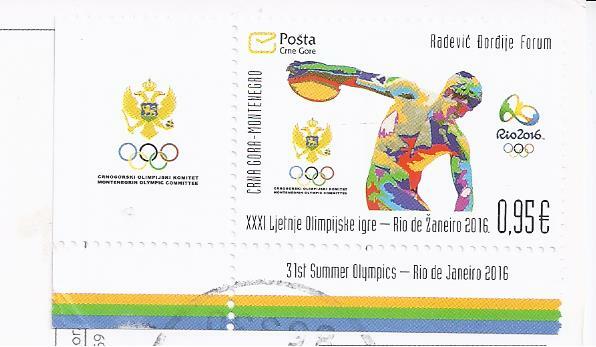 This time he took it and ran straight to the priests in Perast to show them. With such a micracle happening in their small town, it was decided that a shrine had to be built on the rock. But how to do that on just a small slab of stone? So the fishermen took all their discarded old a boats charged them with big stones from the surrounding land and sank them all around the rock. Thus, the islet grew and rose out of the water so that the shrine could be built. The sanctuary was dedicated to the Madonna with Child who was honoured henceforth as portector of the fishermen and sailors. An oath was sworn, that every seaman would add a stone to this islet whenever they returned from a successful voyage. The original chapel was plundered by pirates and in 1630 replaced by Venetian settlers. 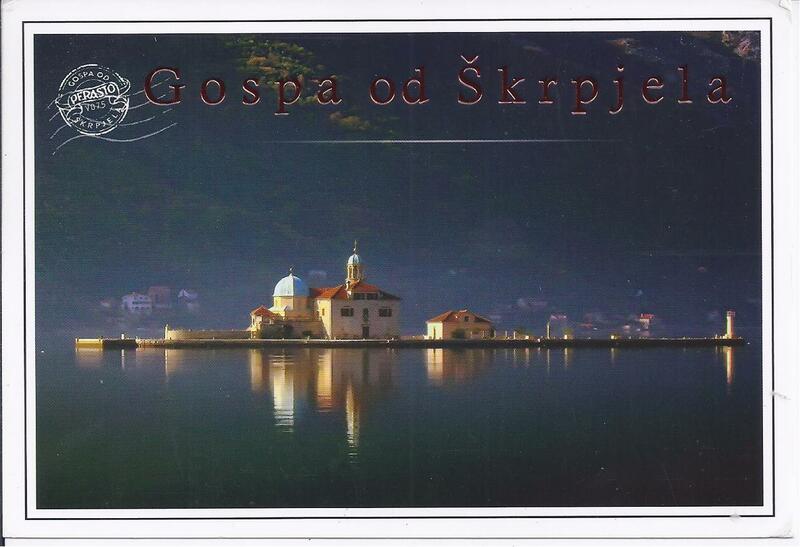 The islet and church is part of the UNESCO World Heritage Site Natural and Culturo-Historical Region of Kotor. 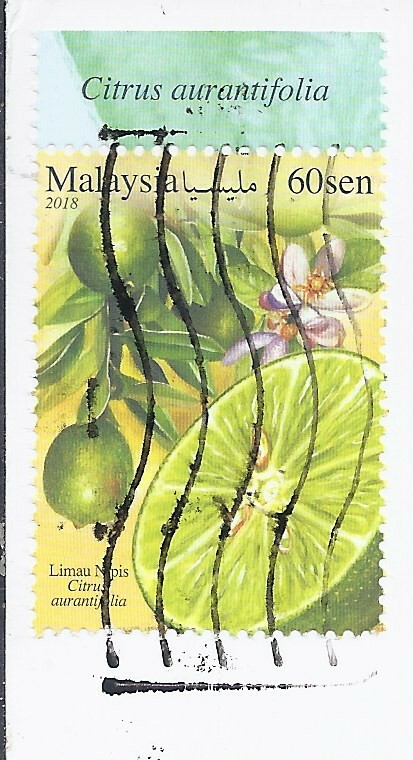 I sent the card home for my collection from our cruise to the Eastern Mediterranean. 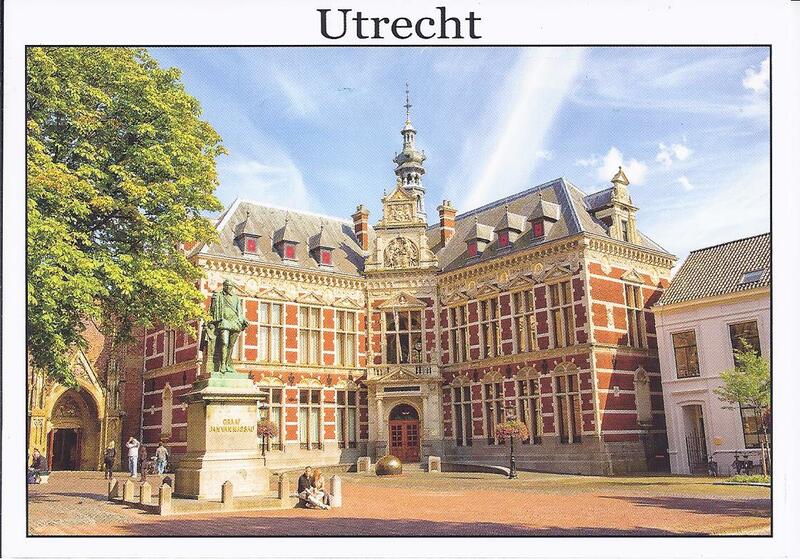 The University of Utrecht was founded in March 1636, which makes it one of the oldest universities in the Netherlands. In the opening year it had an enrollment of 24 students. 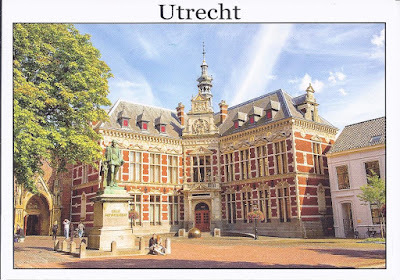 The card shows the Faculty of Humanity and Faculty of Law, Economics and Governance and is located in the center of Utrecht. Thank you Regina for this beautiful postcard !!! 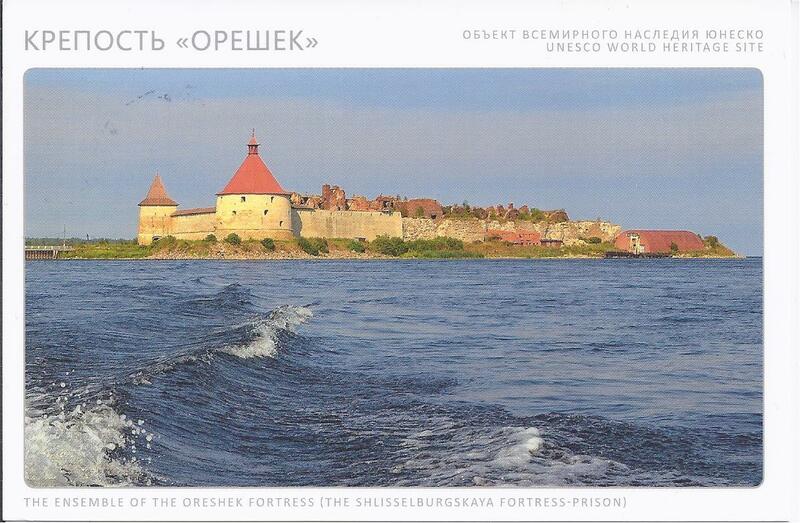 Oreshek Fortress or Shlisselburg is located on an island in Ladoga Lake, not far from St. Petersburg. It was built by Grand Prince Yuri of Moscow on behalf of the Novgorod Republic in 1323 and has served as a Russian forpost in this area for century. The original structure was made from wood and finally changed to stone in 1352. Over the centuries the fortress was often attacked and besieged, demolished, rebuilt and fortified. For a while it was under Swedish rule and in World War II a contingent of 350 Russian soldiers held the fort against the advancing German troops for 500 days, cutting the last transit route from Leningrad to the mainland. Thus the food and provisions never reached the front and remained under Russian control. The German troops heavily damaged the fortress but were never able to conquer it. Only 6 of the original 10 towers survived the siege, which was finally lifted in January 1943. 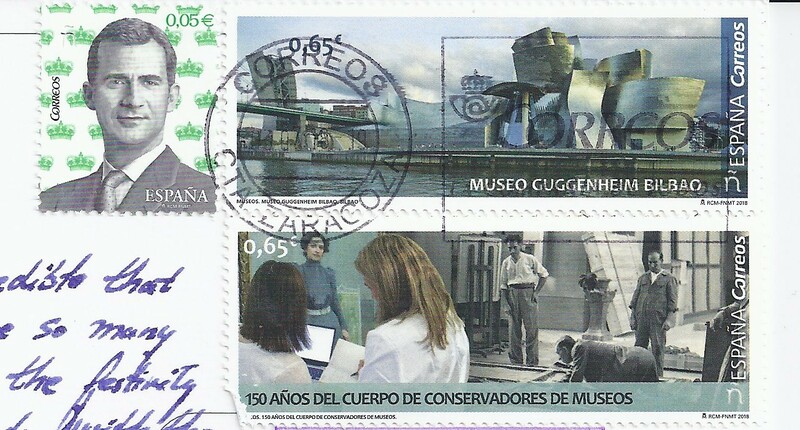 Thank you Natalia for this wonderful postcard !! 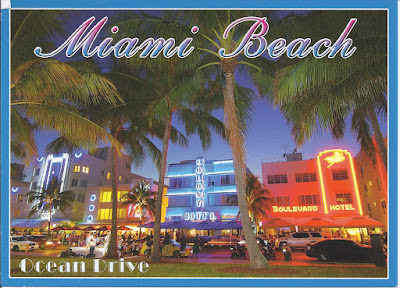 This great postcard shows the famous art deco hotels on Ocean Drive in Miami Beach, beautifully lit with neon lights. Right in the centre is Colony Hotel, which counts as the most photographed art deco hotel. Ocean drive is the centre of the Miami Art Deco district which has over 900 preserved buildings many of which you may have seen in tons of movies. At night the street becomes an El Dorado for people wanting to out, have fun and enjoy a good meal. 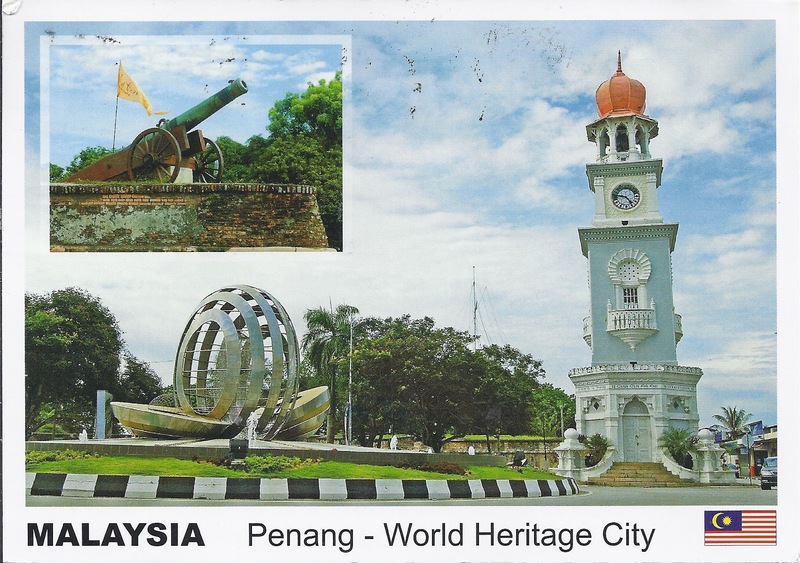 Thank you Denise for this wonderful postcard ! 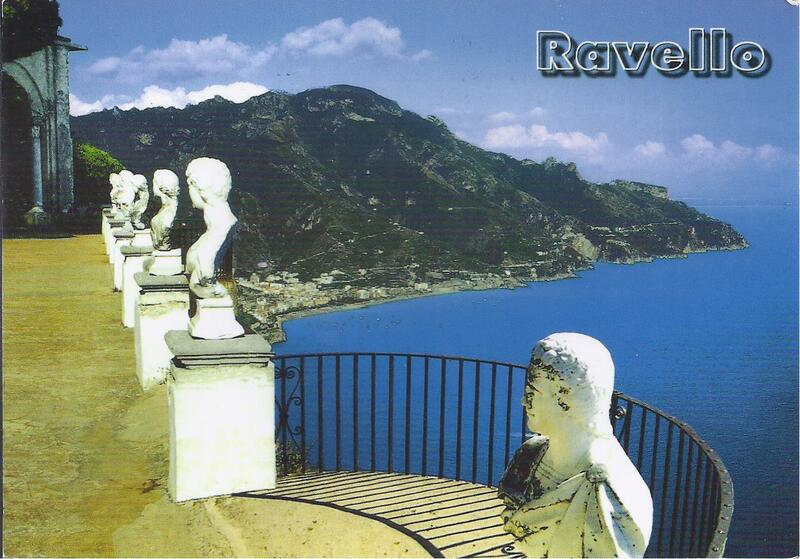 Ravello is a small town an a rock 350 meters above the Amalfi Coast in Campania, Italy. It was the perfect place for a shelter from barbarian invasions in 5th century. 400 years later it became once again a refuge, this time for several rebelious noble families fleeing the authority of the Doge. In the 11th century Ravello's importance rose due to the production of "Celendra Wool" but then declined again under the Norman rule. 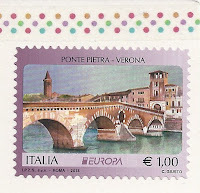 This change in fates, however drastic, could never destroy the town's breathtaking beauty and charm. Quite a number of celebrities fell in love with Ravello, like Greta Garbo, Winston Churchill, Richard Wagner and a lot more. Today it is a major tourist attraction also because of the spectacular view down to the Amalfi coast. 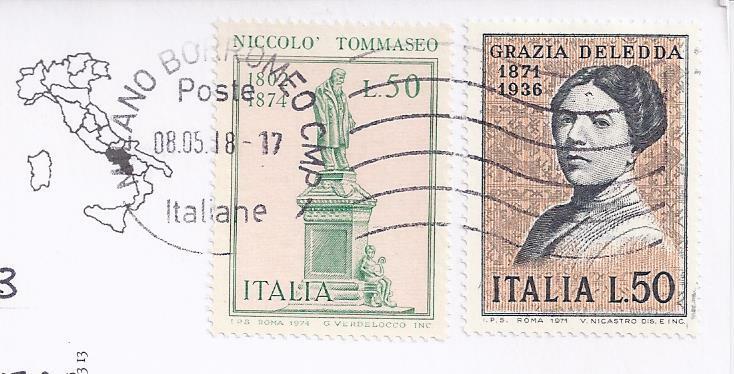 In 1997 it was inscribed into the UNESCO World Heritage List as part of the site Costiera Amalfitana. 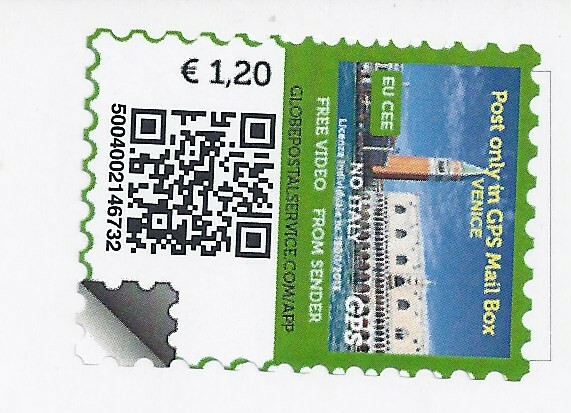 Thank you so much Giulio Fragonara for this wonderful postcard !!! The Presidential Guard stands guard at the Tomb of the Unknown Soldier on Syntagma Square and at the Presidential Mansion in Athens, formerly the Royal Palace until the abolition of the Greek monarchy. Every Sunday they raise and lower the flag on the Acropolis. They are also known as Evzones. 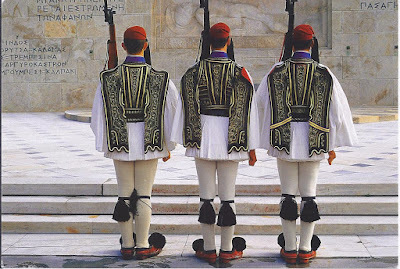 The name derives from several historical elite units in the Hellenic army. Their uniform with plaited kilts are very distinctive and handmade with intricate detail. The design evolved from clothes worn by Klephts, who fought against the Ottoman occupation. The guard was established in December 1868. 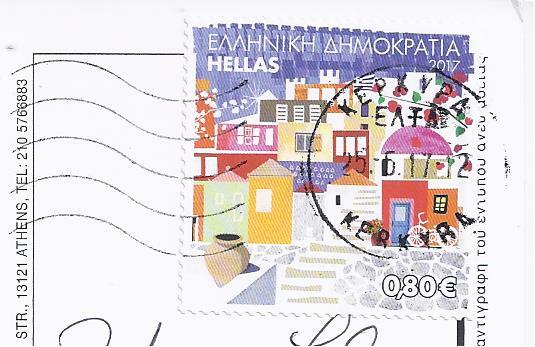 This card I sent home from a visit in Athens. 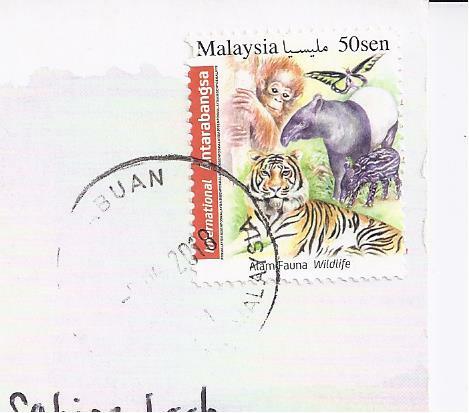 Thank you very much Angelica, for adding a new country to my collection with this beautiful card !!! Undoubtedly, Emeral Bay is the most beautiful place on Lake Tahoe, California. In 1969 the bay became a National Natural Landmark. 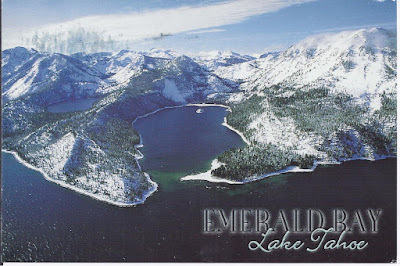 The surrounding waters of Emerald Bay became part of the Emerald Bay State Park in 1994, making it the first underwater park in the state, thus protecting the bay's bottom where wrecks and other items are to be found. Thank you Linda for sending this beauty my way !!! 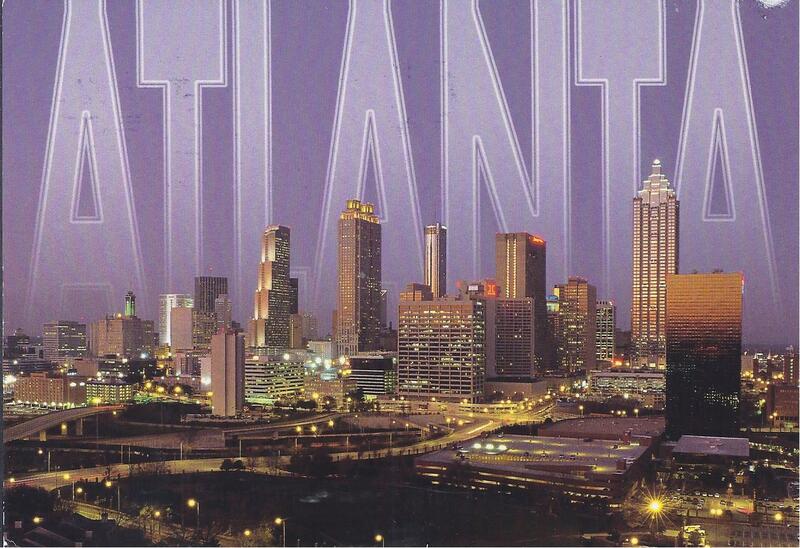 Beautiful Large Letter postcard showing the skyline of Atlanta, capital of Georgia, USA, at dusk. Thank you very much Amanda Hakkarainen !!!! 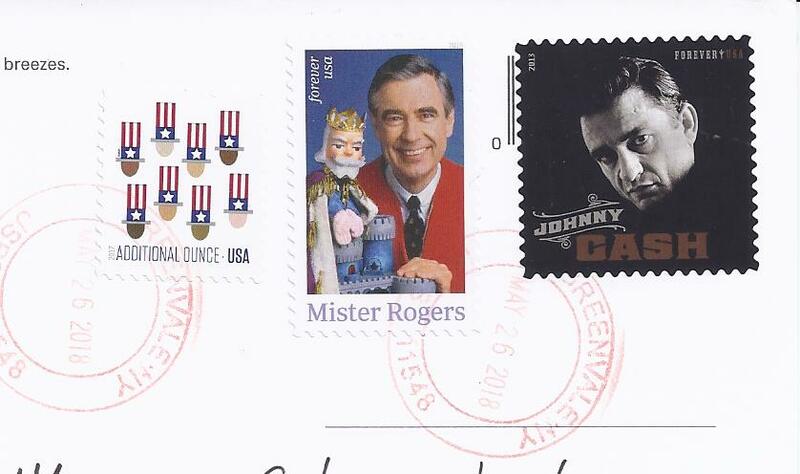 Hi, my name is Sabine and I am Postcard Maniac :) I love them stamped and written cause having travelled through the mail gives a postcard its own unique character, even if it ends up in my mailbox with a little scratch or a bend here and there. 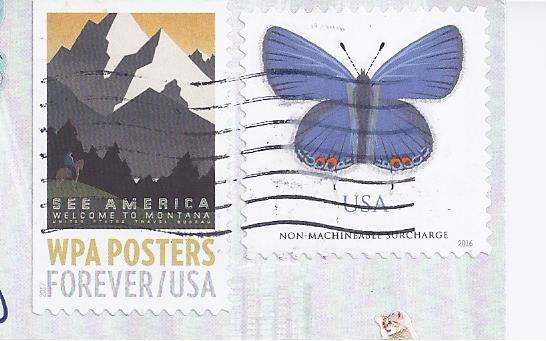 After all, that's what postcards were made for: to travel the world through mail service! 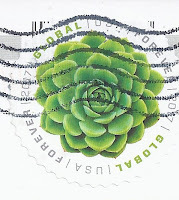 If you are interested in a swap, let me know! 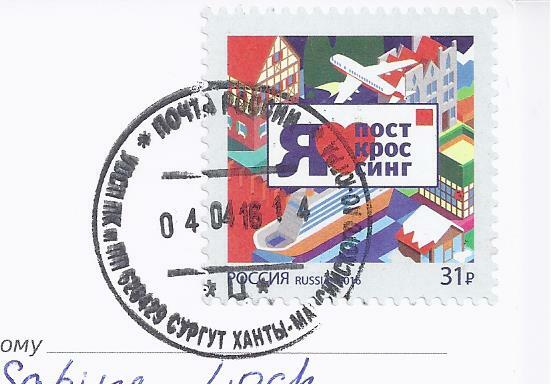 Bulgaria - Sofia - Sent this one to my dear mum during my Eurail Challenge. Bit of a depressing city, but then I was only there a couple hours.